Description - Shaw's Zeus vinyl rolls are a durable and comfortable option sure to look great in any room. Backed by a 25 year warranty, these resilient vinyl rolls can be installed on any level of the home and come in attractive wood and stone look options. Pattern Repeat & Drop – Island Cream, Marathon Grey, Athens, Ithaca, Sparta, Vineyard Brown: 59.1" x 39.4" drop 26.27". Toga Tan, Olympian Tan, Ripe Olive: 39.4" x 39.4" drop 29.55". Rosemary and Lauren Brown: 39.4" x 39.4" drop 19.7". Grecian Sunrise and Mountain Grey: 39.4" x 39.4" drop 26.27". Recommended Uses – Shaw Zeus vinyl rolls have been successfully installed in many high traffic areas, including kitchens, bedrooms, hallways, laundry rooms, waiting areas, offices, bathrooms and more. Beautiful wood and stone look options. 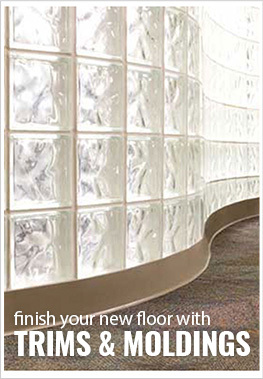 OptiClean surface finish makes flooring easy to clean and care for. The floor is perfect for our remodeled basement that our teenager is now living in. It's holding up so far so good.